Take a look at just a few of the fabulous links from last week’s party. 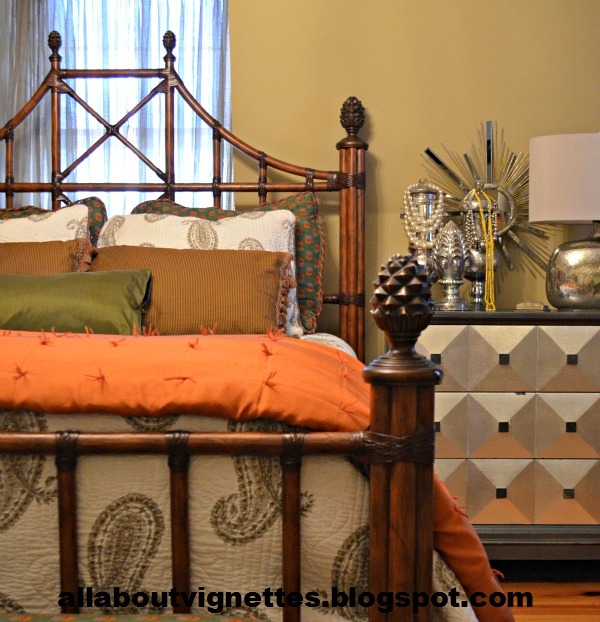 post about decorating with vintage bamboo. don’t miss her beautiful dining room. 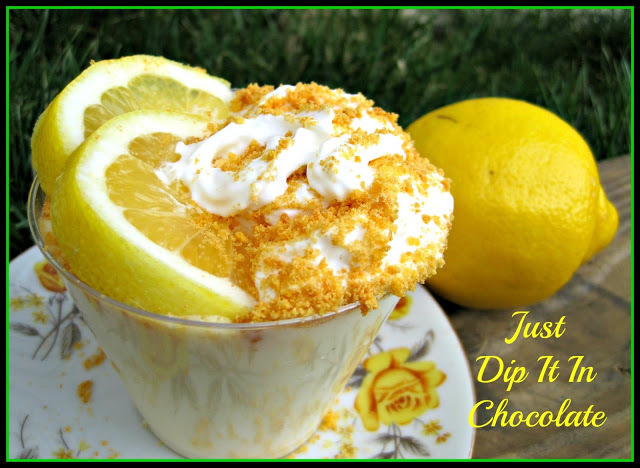 Just Dip In Chocolate shared this yummy recipe for Lemon Meringue Pie Milkshake. Hey Sherry, thanks so much for sharing my sideboard! just linked up, thanks for having us!! Lovely features, as always! Thanks so much for hosting! Hi, Sherry! These features are all so lovely. I adore any kind of up-cycled chalkboard and the one you have featured is is wonderful. 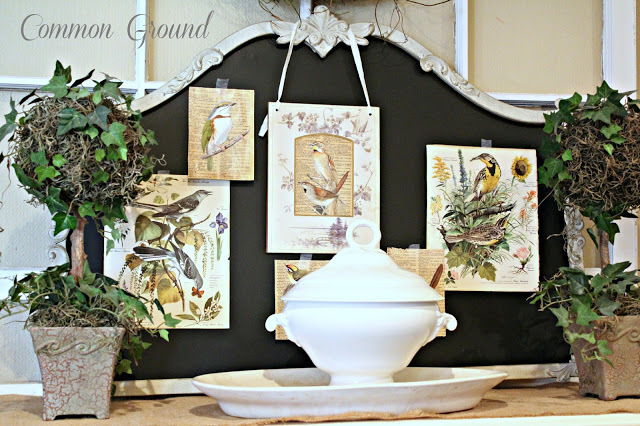 The moss covered bird is a fabulous idea and would fit well in most any room.It is all beautiful. You always feature such inspiring ideas. Hi Sherry, I love all you put together this week. Thanks for the party! Thanks for always being a warm and charming hostess! 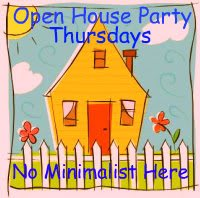 Thanks so much for hosting your party! The features are just lovely! Thanks for a fun party Sherry! Thanks for hosting your party for us, Sherry! I am just so amazed at what beautiful ideas/projects fellow bloggers come up with (and then photograph them like professionals) as the features that you selected show. Thanks so much for sharing with us and for hosting. It looks as if my sister has linked up our pin cushion. Now to get lost for a while in all this inspriration! HAve a wonderful weekend. Hi Sherry, I love coming to your party. Hope everything is going well with your dad. I finally made time to join some parties – thanks! Sherry, these are lovely features. Thanks so much for hosting! Wishing you a great weekend! Thanks for hosting. This is my first time linking to the party! Following now on GFC. Hi Sherry. Thanks for hosting! Great features.